Change and transformation inspired by market disruption is a standard of how markets function and evolve. But what about marketplace assets that reflect a two-fold function of audience demand and democratic capacity? There is much in a capitalistic system that is intentionally set up with this tension. We are a nation of enterprise and capitalism, while ideologically our republic founded upon Democratic principles, inspired by the Sons of Liberty ironically to escape an oppressive British crown. Our country’s information systems, of a journalistic variety – meaning news and information to inform and sustain the public trust, goes way back to the Papers of James Madison. Together with cohorts hatching a new body politic, needing to solve for a problem of limited distribution taking a quantum leap, through the invention of the printing press. Allowing for revolutionaries such as Paul Revere a new means of spreading the word beyond way of horse, giving a shout out on the news of the day. The function of the people to serve as the engine of government is deeply woven into the US system of checks and balances. The role of a free, independent and representative press unsung heroes, many of them patriots as increasingly journalists have put their lives on the line. This “Fourth Estate” a first line of defense against misinformation or politically motivated disinformation, qualified journalism serves as an essential consumer protection. Delivering news of public import with a singular intention, the differentiator of journalism or news in the public interest is in its purpose and function: to advance and inform the public good. Typically in the form of content coming from a group of trained folks who produce content as a professional practice. A professional practice spanning nearly three centuries in the US. Three centuries is a good long while to evolve a set of methods, to refine product design. A product in service of America’s citizenry from topic selection – source – data distillation and synthesis, veracity – analysis or commentary – expert identification – wellness, safety, right-to-know, ‘educated voter’ or ‘quality of life’ guided. While there has been a significant shift in how content is purported to serve as news, the longstanding craft and professional practice of journalism is a product build unlike none other, and continually evolving. Over the decades, the institutions of news have come to maintain a professional distance from the public they serve to uphold their objectivity. As some media critics have discussed the downstream issues coming out of “the view from nowhere.” Much of the recent modern evolution of news, by way of the mainstream media, has been distributed through a long-standing sender to receiver, broadcast model. Balanced, objective, ethical-standards-enriched reporting of a shared civic-forward narrative as we’ve seen upended just across twitter and facebook’s misuse, deeply compromise a level playing field. Non-polarized coverage helping the public get the straight skinny, purpose-driven to inform and safe guard the people, wherever we may live, work or play. We are living through polarized times that find even discussion of the vehicle that delivers information to us ‘the news’ as all too often polarizing. Beyond news professionals or academics suggesting this is dangerous, we can all feel a sense of tipping point that may have tipped too far. Deliberative thought and reflection on the value we receive through a craft, or method of practice with a sole purpose to report on what is relevant to our economy, wellness, quality of life, culture, society – designed to enable a ‘non exclusive’ access to a greater public good through a more thoughtful, cross-disciplinary professional exchange seems a worthwhile conversation to float with the community here. Over the last 100 years, the function of a broadcast news model has evolved ten times over. While in the past couple decades the proliferation of information channels, cross-platform and cross-sector have exploded onto the scene. 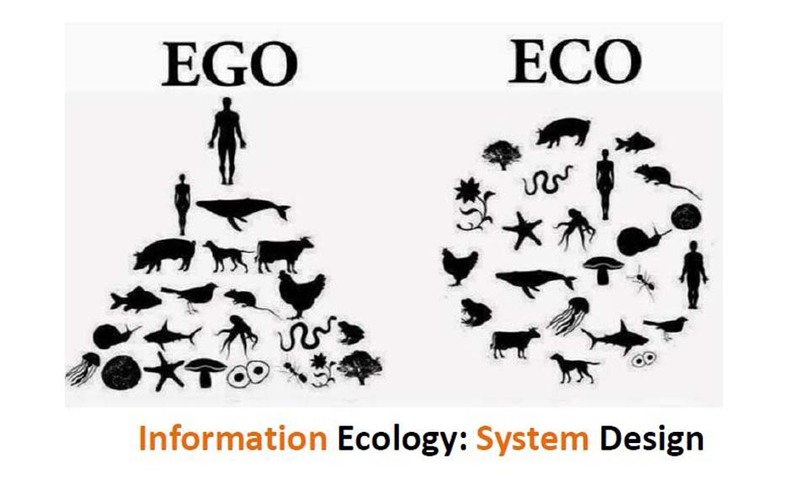 Ecology the term now commonly used by news practitioners to refer to the holistic significance in the design of news and media as an interconnected system. This tradition of broadcast production and distribution setting up the US system of news as a series ‘outlets.’ Over the past century these outlets have spanned primarily the big three: print, radio and broadcast. Outlet design, once known as a bureau or franchise of a larger media parent, often family owned in the earlier days of the big city newspaper. This framework of a distribution model replicated across the country, where as time went on, a larger regional parent might have numerous bureaus in a given state or multiple states. Commonly these news bureaus and their parent company, and related distribution mechanisms, referred to as outlets. In this evolution of the broadcast model; collectively media outlets and publishers held a great deal of control, buying power and sway. Then in a compressed period of time we’ve witnessed a number of changes, topped off with the digital disruption of news and a loss of control over distribution, advertising dollars and message. The resulting business model failure has been slow and painful, news practitioners across verticals have banded together to understand implications. Advertising is not going to return as a primary resource for the news of tomorrow. While an existing news ecology has begun to emerge, where practitioners have come to speak of the importance of quality and credibility of outlets as a whole — no ecosystem survives over time if it fails to adapt and evolve —with inlets and outlets working in balance. 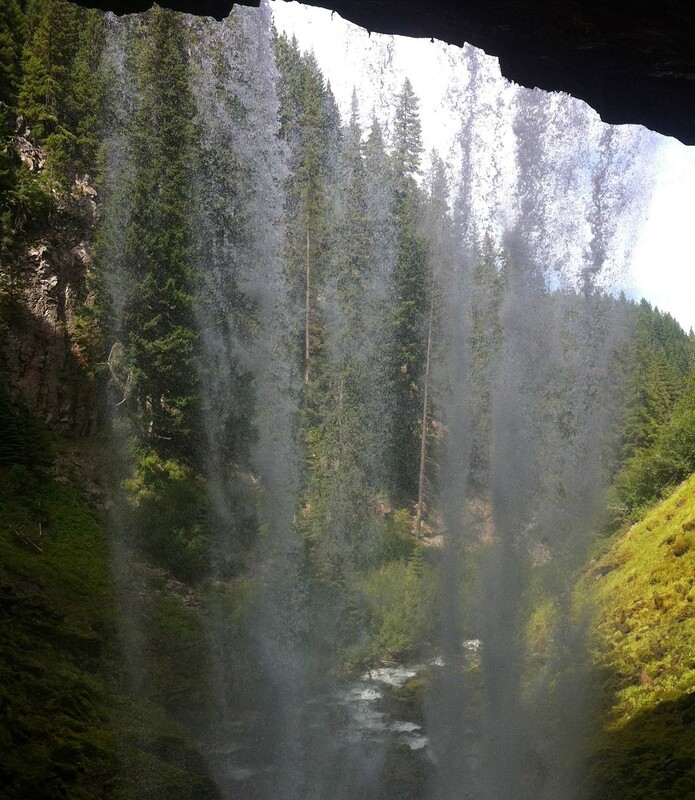 To bring nutrients and the necessary flow to fuel adaption, responsiveness and regeneration. future proof the public good? Reverse engineering the ecology of US information systems, as we come to place equal emphasis on the inlets in balance with outlets? Just may substantively realign a far more resilient US press news and information system. In particular, its unique value proposition and business model, responsive to demand while retaining integrity. Pairing infrastructure with reader experience and feedback in balance, where inlets (intake) are weighted in equal balance to a content outlet’s distribution and merchandising model. The inclusion of inlets holds promise to seed a future reconstitution of a thriving US, regional and local news economy that advances the public good with a fresh business model waiting to be realized.We are seeing early signs of this: sponsored content, paid placement, demand driven location based promotion, value aligned based on preferences and needs of reader. Blockchain technology and cryptoeconomics hold great promise to act as a game changer, as are many other innovations still in their infancy. Bloom a firm early to market, looking at location to one day hold the same power we see today of search. As part of the smart city movement, UK based Hello Lamp Post a fresh way to “wake up” urban furniture, to inform city and cultural leaders through play, discovery and exploration. Marketers write on the engagement economy, futurists muse and forecast on the innovation economy but an economy of the public good brings a more multi-faceted and net positive impact. There is a meaning for most Americans and entrepreneurs that our being from and of this great nation is a point of pride. We are all part of a democratic tradition hundreds of thousands of lives have been sacrificed to ensure. But much of our deeper traditions of civility, civic contribution, and ethical representation require we show up to claim our birthright earned as citizens. And many of the business leaders, community organizers, brand evangelists, students, subject matter experts, scientists, moms, dads, friends and faculties that I’ve interviewed over the past decade, all have a stake in how this turns out. Whether that be for our own kids, or someone else’s, or the preservation of places and species, these are extraordinary times we are living in. To future proof the public good, is to be the good in the public we hold dear. To move a little slower, to suspend judgement of information until we gain a better capacity to discern its quality, source, objectivity and intent. To ask “how do you know” so that we can better learn about other’s points of view, and their source points. Economies thrive when our towns, neighborhoods, cities, states and regions reflect an equity that empowers a representative voice of the reality we live, through the channels we turn to, to inform ourselves. Are there examples of new community reporting or ways you see the news serving your town you feel doing things differently? Or ways you see it being done better? Author Lisa Skube; writer, strategist and Reynolds Journalism Institute fellow reports on emerging trends in technology, mobility, public good & journalism, emerging news networks in service of sustainability, community empowerment & innovation. CreatureKind.com explores new forms of narrative: civility, news, democracy, “sociality,” technology & its impact upon the wellness of creatures served and the habitats they occupy. Balanced with community perspective, conversation, expert feedback and humor. Reporting, analysis & assignments. Share your questions and thoughts. Responsive editorial by design. CreatureKind Communications maps the information digital frontier bridging relationships and revenue with strategic tools and communication pipeline reporting, evaluating, listening, training or facilitating between clients, brands, the private sector and public trust with curiosity & creativity since 2004.